Naomi is Head of Saxophone at the Royal Birmingham Conservatoire. She studied at Chetham’s School of Music, the Royal College of Music and Northwestern University, Chicago. She has performed across the UK as part of the Countess of Muster Recital Scheme and also for ‘Live Music Now!’ As a chamber musician, Naomi has been part of several groups – including Paragon Saxophone Quartet (BBC Radio 3 and Classic FM broadcasts), Zephirus Quartet (R.O.S.L prize winners and Tunnell Trust Artists) and she is currently performing with contemporary music group, Syzygy who haved performed at HCMF, Purcell Room, Proud in Camden and more. She also performs with Masahito Sugihara giving masterclasses and concerts across the USA and Europe. She has given masterclasses at a number of institutes including the Royal College of Music, Trinity College of Music, Chetham's School of Music, the Purcell School, the 2017 Andorra SaxFest, the Royal Conservatoires of Antwerp, Brussels and Ferrara. She was Musical Director of the 2007 London Saxophone Festival and Artistic Director the 2015 Birmingham Conservatoire Saxophone Day. After completing an undergraduate degree at the University of the Witwatersrand in 2012, Luke moved to the UK and completed an MMus (Performance and Pedagogy) and MMus (Performance) studying with Jo Patton and Mark O’Brien. During his time at the Conservatoire, Luke was awarded a place on the CBSO training scheme, competed as a finalist in the woodwind prize and was awarded the Town Hall Symphony Hall Prize with the Verbunkos Trio. As an advocate of new music Luke has given several premieres in the UK and South Africa and always strives to perform challenging and exciting repertoire. 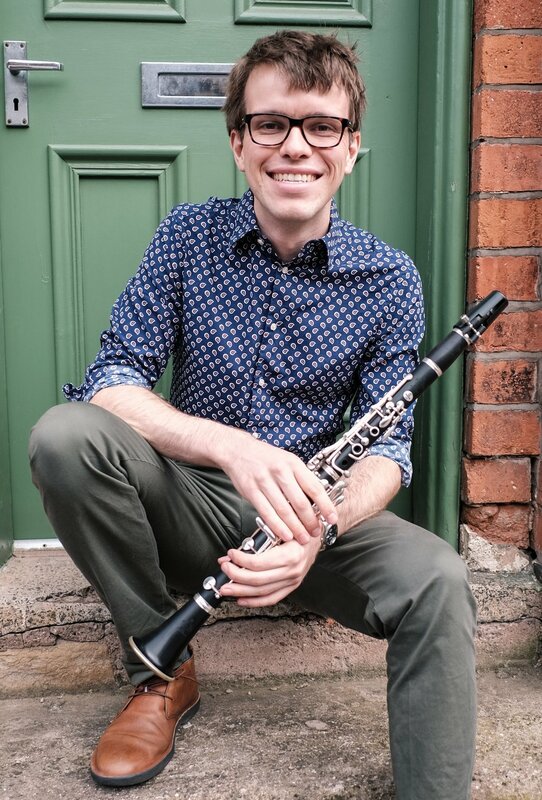 Luke is also a passionate educator and currently works as a Teaching Artist with Opera North alongside projects with the Philharmonia Orchestra Education Department and Young Composers Project. Material Value, a solo exhibition of her work was shown at Zeitz Museum of Contemporary Art Africa(2017). Mntambo won the Standard Bank Young Artist Award for Visual Art in 2011, for which she produced the national travelling exhibition Faena. She has had seven solo shows at Stevenson in Cape Town (2007, 2009, 2012: 2015) and Johannesburg (2009; 2014; 2017); and two at Andréhn-Schiptjenko, Stockholm (2013 and 2015). Mntambo was shortlisted for the AIMIA | AGO Photography Prize in Canada in 2014 and was a Civitella Ranieri Fellow for 2013.